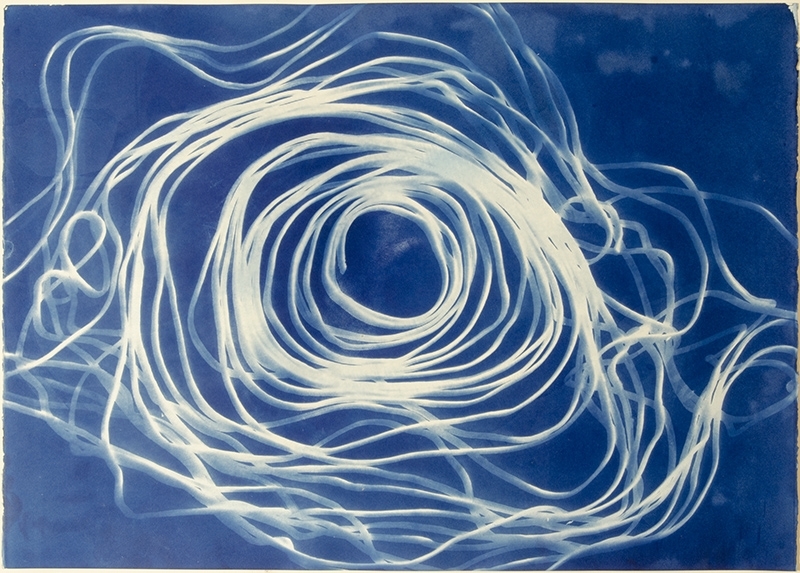 Madison moves from the crowded digital image maze to make works that capture the essence of wind, water and sunlight. 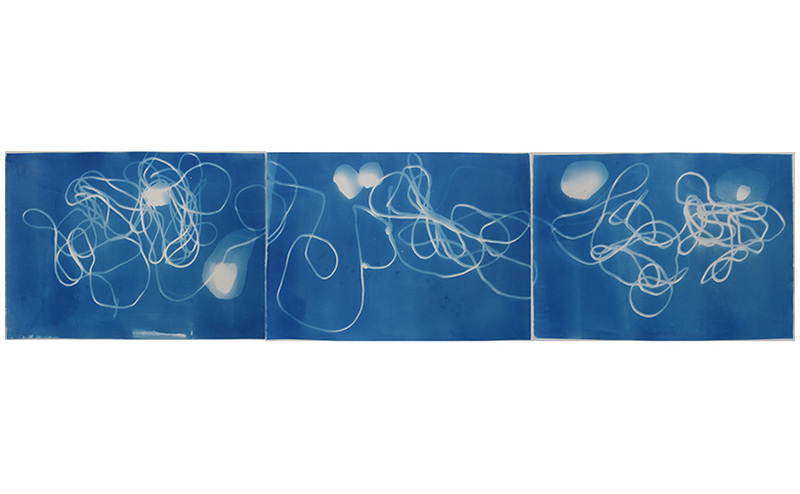 Using the cyanotype photographic printing process that produces a cyan-blue print Madison makes a photogram of an ordinary 100-Foot rope that can be found in any hardware store. She takes the rope to the site of a natural body of water where the print will be developed. 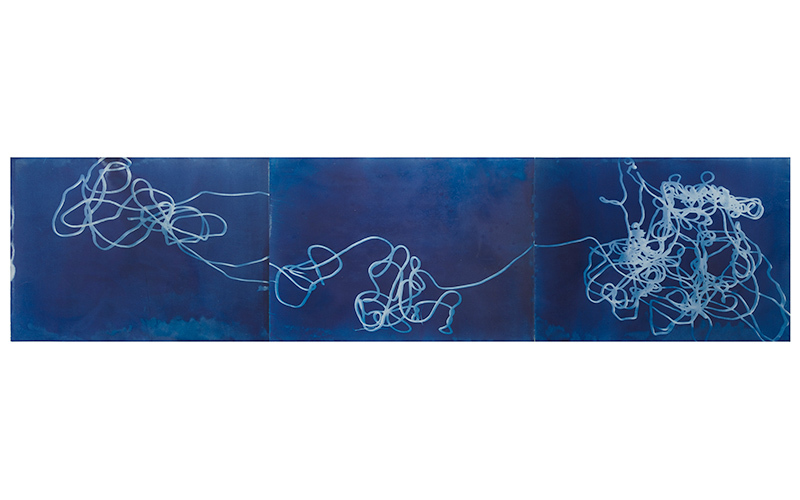 The 100-Foot rope stretches across several sheets of paper, as it is exposed to the temporal sunlight, creating the impression and shadows of the rope on the paper, and then developed in the river or ocean. The wind affects both the exposure and development process by moving the rope and the paper becoming a part of the artwork.